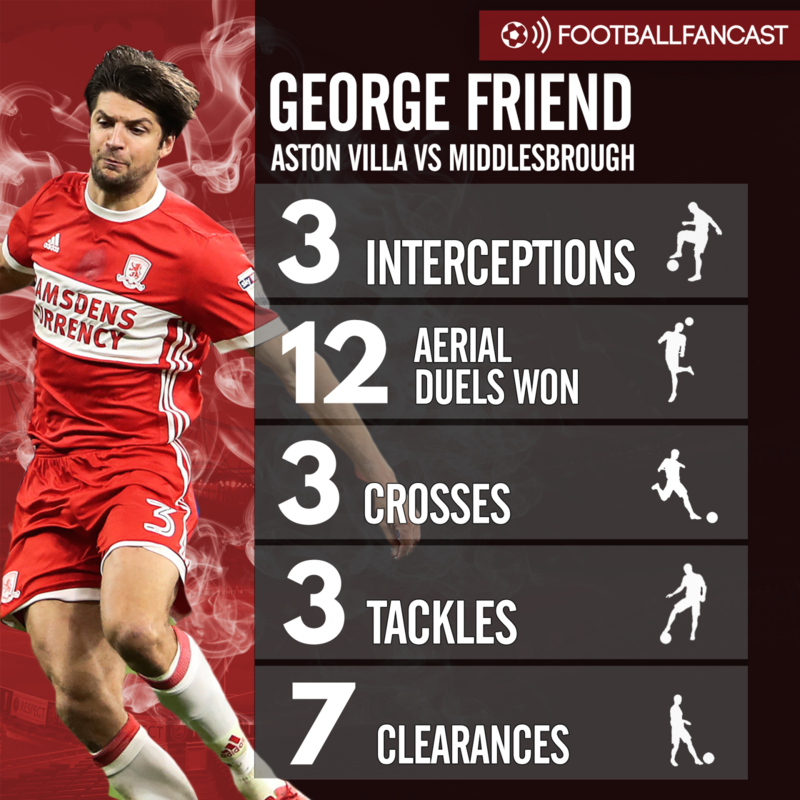 Middlesbrough defender George Friend shone in his side’s goalless draw with Aston Villa in the second leg of their Championship play-off semi-final tie at Villa Park on Tuesday night, and West Ham United may have found their perfect Aaron Cresswell replacement as a result. The 30-year-old lined up at left-back in the Midlands – as he often has this season – but his 6ft 2in tall frame mean that he is more than capable of playing as a centre-back, too. Cresswell has been playing as a left-sided central defender in a three-man defence for the Irons in recent months, but he sometimes struggled in the role and come under heavy criticism from the London Stadium faithful on Twitter, and whoever the Irons’ new manager is going to be will surely be looking for someone to dislodge him so he can go back to his preferred full-back or wing-back role. Friend showed with his defensive display against Steve Bruce’s men that he is more than capable of doing that having won 12 aerial duels, as well as making seven clearances, three tackles and three interceptions – as per WhoScored.com – to stop the hosts getting on the score-sheet. The Barnstaple-born man also got forward when he needed to as well, as he produced three crosses as Tony Pulis’ side failed to get the goal that they needed to take the tie to extra-time. West Ham could be in for some big changes this summer with David Moyes already gone and other stars potentially on their way out, and Friend could be a perhaps surprisingly good addition to their leaky backline next term.